It was a cold, rainy day on the battle field. 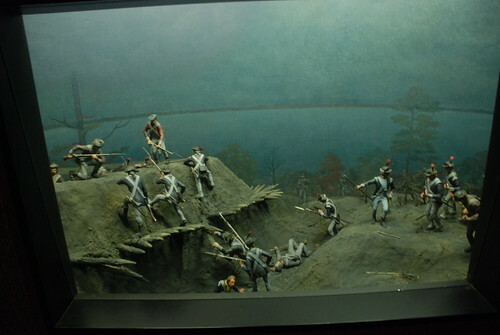 Below is a panarama of the Americans breaching one of the British positions. This was inside at the National Park Service building. 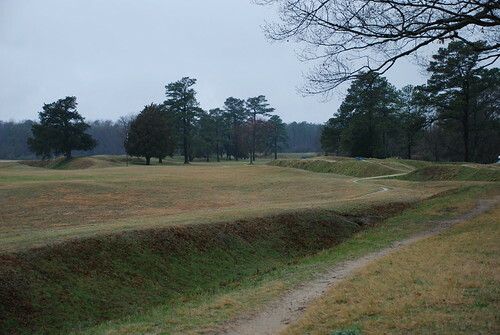 The earthworks that were re-built...I think in the 1930s. These would have been the British positions. 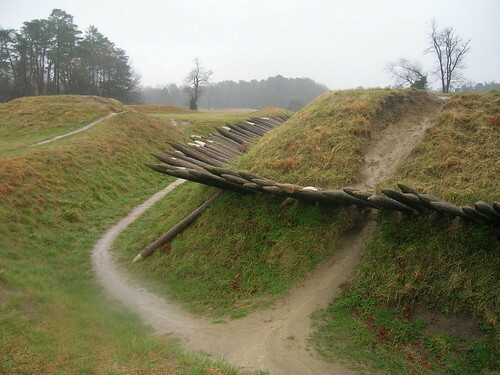 Below is how they built the earthworks during the revolution...early version of Hesco barriers. These are kind of falling apart. They would have been filled with dirth and the covered with dirt. "The Fox" , this is a French made cannon manning a British position. 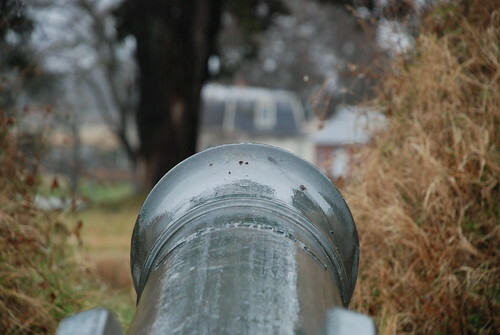 "The Fox" was the name engraved on this cannon. It could fire a cannon ball as far as a mile. Below, are American and French positions. 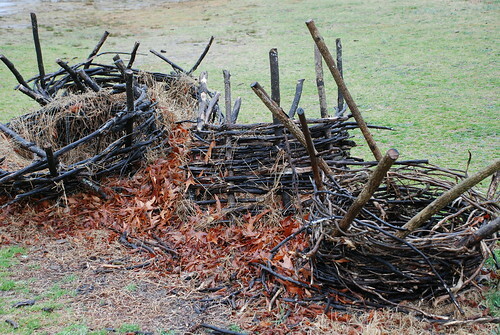 This is part of the Grand French Battery. 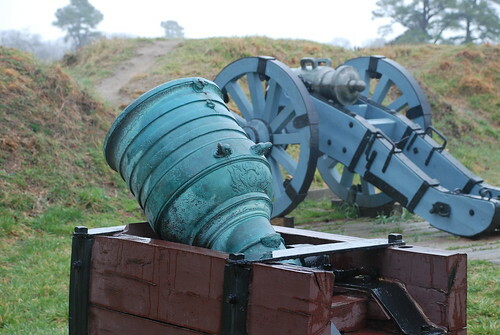 This battery contained 30 pieces of artillery which bombarded the main British Defenses. 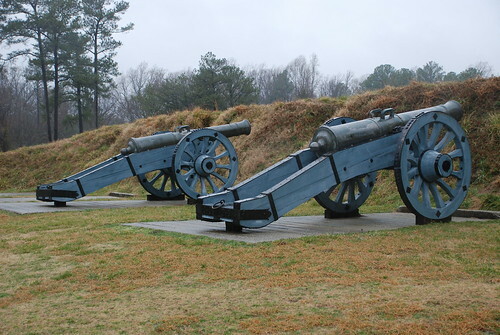 The two cannon below are field guns. Below a Mortar (front) and a Howitzer (back). Looking down range...that house is in big trouble. 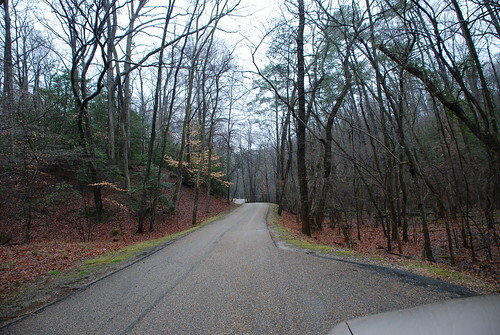 Below, the American Approach Road. 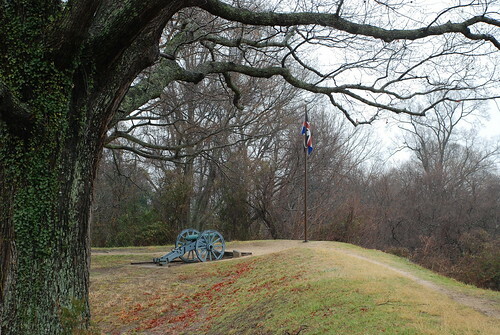 This ravine protected Americans from British cannon fire as they moved up to build the main seige lines. 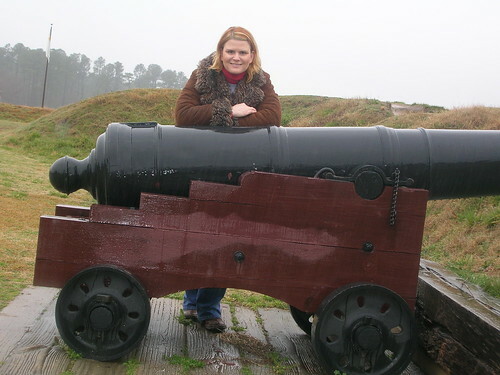 Yours truly "manning" one of the American cannons. Then down in the trenches. I actually slipped in the mud while walking around and up on this Redoubt... 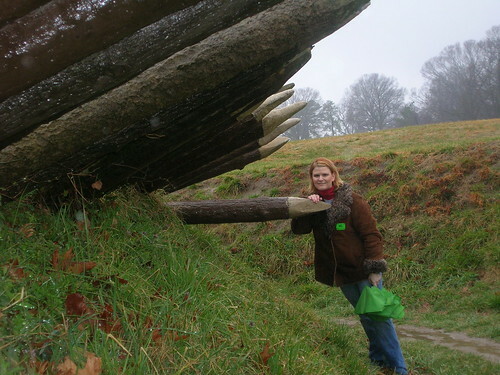 Yes, I was almost impaled on one those logs. Would have been very interesting as one of my ancestors survived the Revolution...lost a leg, but survived the war...could you imagine that meeting in heaven..."Hi great-great-great-great-great-great-great....grandfather, I died on the Yorktown Battlefield...no there was no war...I slipped in the mud and was impaled on one of those big spikey log things."